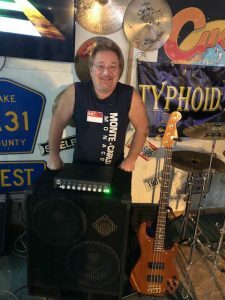 Since 2000, John Belpedio has been a busy bassist in the north Chicagoland area. He has played a variety of styles from jazz, rock, blues and a little country. John’s main band is the Latin-Rock band “Almost Joe”. The bass and a multitude of percussion, provide a great canvas for the artwork that the vocals and solo instruments paint over. Almost Joe is working on their second CD. One of John’s favorite projects was playing on the “Hills of the Universe” CD, with the band Athanor. John most recently joined Typhoid Mary, a Classic Rock Menagerie play spanning six decades. 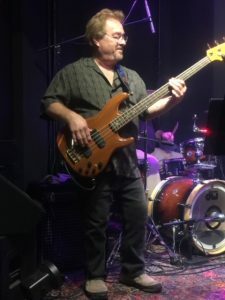 John has also done some playing and recording with the Dave Hoffheimer Band. A fantastic Bluesman with a unique style. Other projects include Mid-Life Crisis and The Fabulous Memories. “I have followed David Nordshow’s career for 20 years and have owned several awesome pieces of equipment. What I love about the new DNA line is the power, clarity and scope of depth it provides. The equalizer controls give more flexibility of tone than ever. The compression section is the best I’ve ever had and does it’s job with precision. I am still finding new sounds, but the bottom line is… no matter the style of music or size of venue my DNA-800 does it all masterfully”!